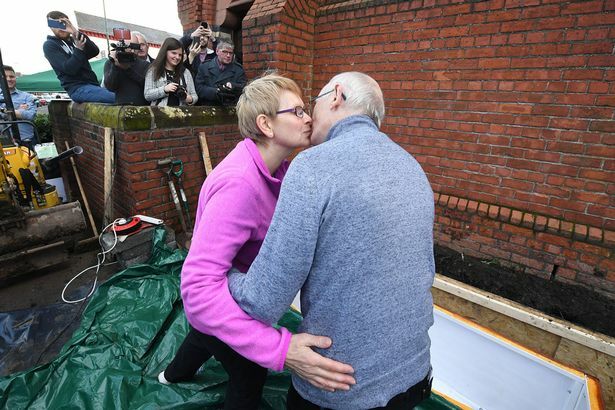 A husband kissed his wife goodbye before being buried in a coffin under a city street. Friends and family closed the lid of the casket and dumped soil on top of it after John Edwards climbed inside the box and laid down. 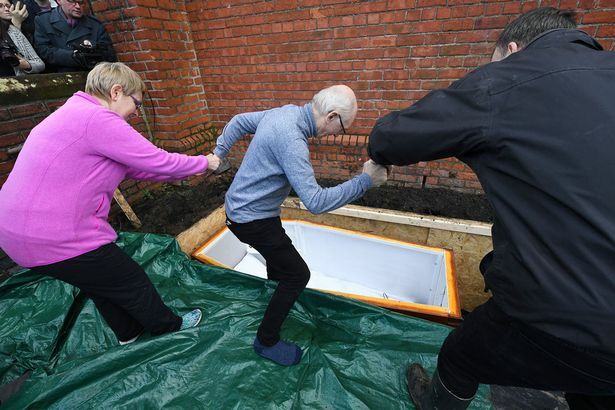 The pensioner is to spend three days inside the coffin in a hole dug with a JCB outside a church in Belfast. But he will at least have the benefit of mod cons including broadband internet. John hopes the stunt will help raise awareness for those suffering from addiction and depression . The former addict founded the charity Walking Free, which helps people who are suicidal and those with addiction. He will live stream help and advice to addicts from inside his coffin. "I'm a former addict and I've been clean and sober for 25 years," John said. 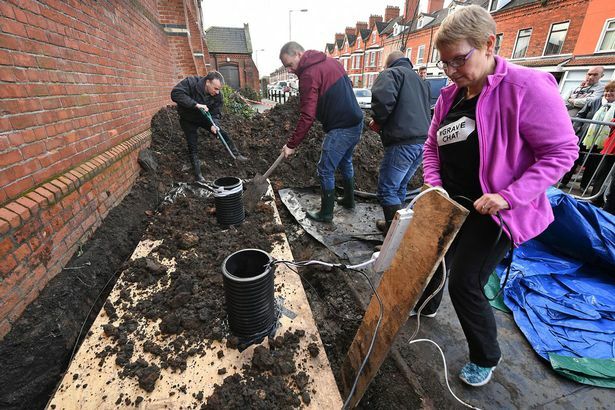 "I'm making a very large coffin, I'm burying it in East Belfast and I'm going to live in it for three days." 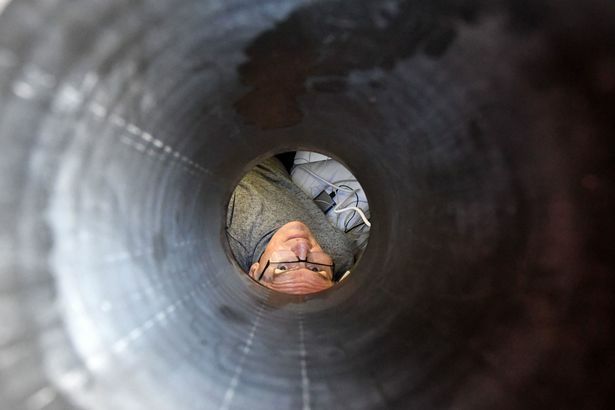 During his three-day stint in the coffin, John will be broadcasting stories of hope from his temporary underground home to help those who are struggling. 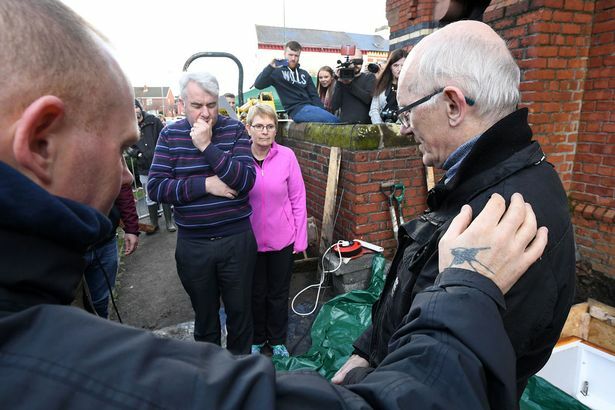 "I know this is a radical move but people are continually contacting me who are either suicidal or who know friends or family who are," he told Belfast Live . "My plan is to speak to them from the grave before they get there and show them hope." 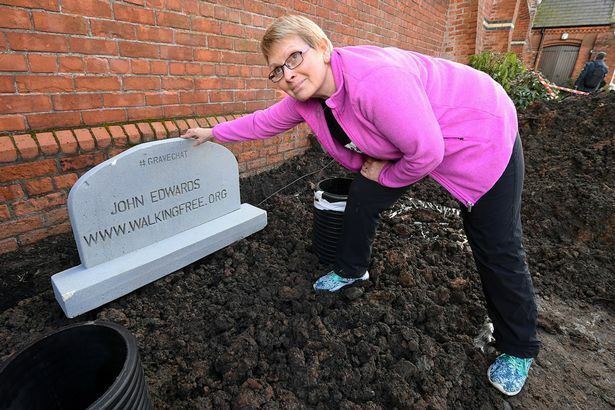 A piece of ground alongside Willowfield Parish Church, in the east of the city, was prepared for the stunt as JCBs dug a hole to accommodate a coffin. 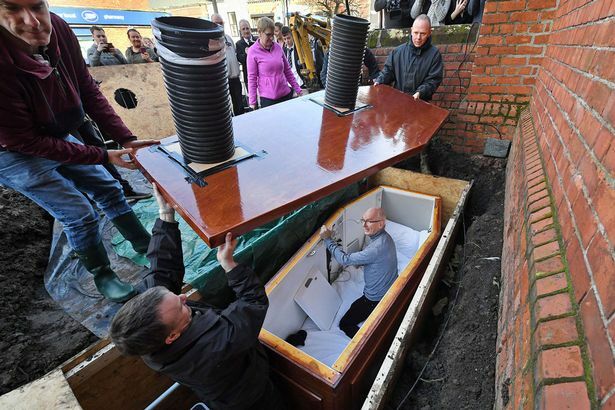 The coffin, big enough for John to sit up and lie down in, has been kitted out with electrics and broadband. The live stream from the coffin will be broadcast on the Walking Free website and live on Facebook. 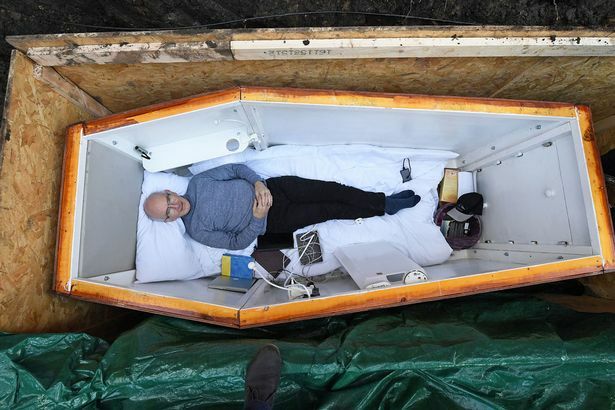 John will take calls, emails, Skype and texts from people around the world, who in turn will share their stories, live streaming through the coffin. It is hoped the feed will reach millions around the world. "People will communicate with me how they have navigated and overcome trauma, suicide attempts, coping with addicted children or family members as well as addiction to substance and behavior," he said. John, a committed Christian who has been happily married to wife Trish for 20 years, said he is both privileged and humbled to help those who've lost hope. "John is going into the coffin on Ash Wednesday which marks the start of Lent. The season of Lent is one when Christians talk about dying to ourselves. "But the message from the grave is one of hope - hope for those who are struggling with addictions, hope for those who feel life is hopeless, and hope of life that is eternal. "John knows that he is going to be buried on March 1. The rest of us don't know when we will be buried, when our lives will end - but for every Christian there is the confident hope of life forever because of what Jesus has won for us on the cross. "He did it so that we don't have to pay the price for our sin and guilt. John Edwards demonstrates the amazing transformation that Jesus can bring to our lives. I invite you to join in the live streaming of this event and hear for yourself." John's exploits can be followed on Twitter using the hashtag #GraveChat - and is also streaming video from inside the coffin on his Facebook page.